Sony Music has finally spoken about the deal they signed with Davido despite many Nigerians doubting it. Even when his name was listed on Sony Music’s website and we brought it here, some still said anyone could have altered that and insert his name. Anyway, the body has finally confirmed Davido has one of their artists and now says they can’t wait to show him to the world. 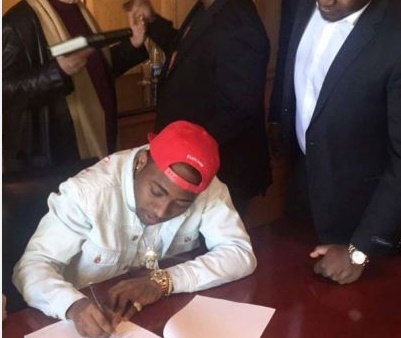 ‘Working with incredible talent like Davido heralds a new era for Sony Music Entertainment Africa on the continent. We couldn’t be prouder of our partnership with Davido and we are extremely keen to support his vision to succeed at the highest level in our industry,’ Sean Watson, Managing Director, Sony Music Entertainment Africa said.